The Protest Saranti JR for girls is a member of the Geotech 10K series and withstands 10K mm of water pressure, safeguarding a waterproof finish. The snowjacket comes in a tailored fit and regular length. 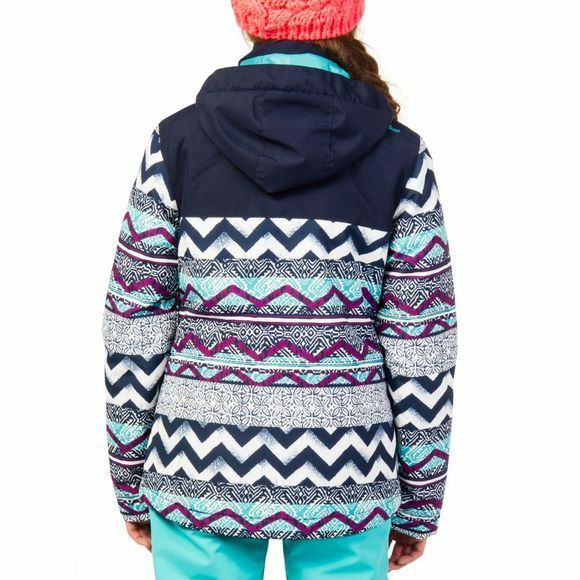 The Sarani JR comes in a striking collection of zigzag patterns of varying intricacy and depth, with a solid upper part and contrast colour hoodie lining. 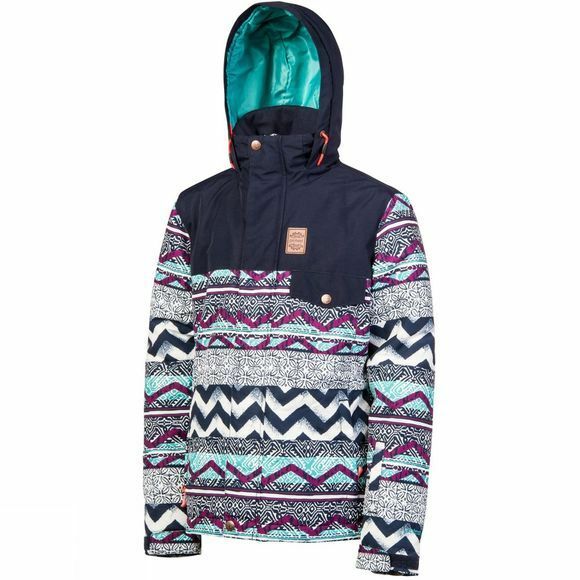 The Sarani JR features a fixed hood with a thermoknit collar and a regular waist gaiter. Also featured is a lift pass holder. The elastane and Velcro cuffs ensure a snug fit. Look sleek and cool in the Protest Saranti JR snowjacket.